Hmm, Tasmania is close to Melbourne. You’ve always wanted to go there, right? Yes, my wife Breeah and I only had a week to enjoy Australia and divied the load between Melbourne and the Victorian coast and Tasmania. Because that is what we do (or I “force” in the planning. Yes, she’s put up with her fare share of zany itineraries and tends to roll with everything I plan. She’s a gem). So the day after landing in Melbourne after a 15-hour flight from L.A, we’re off on a pre-dawn Jetstar flight to Hobart, the capital city of the island state of Tasmania. From there, naturally we rent another car (we parked our Melbourne rental vehicle at the airport) and immediately head to the Bonorong Wildlife Sanctuary to see devils and kangaroos, because why else are we here? 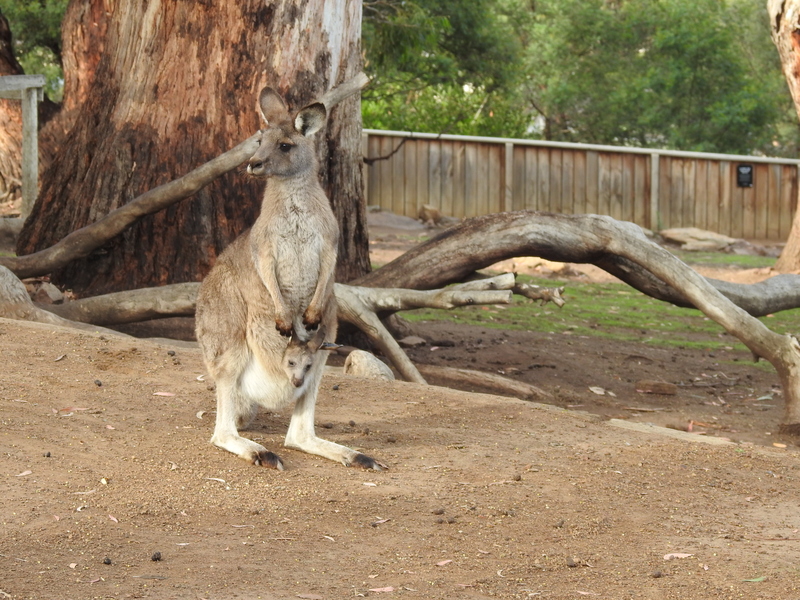 Kangaroos were friendly and active in the morning hours…but became docile and sleepy as the noon hour approached. 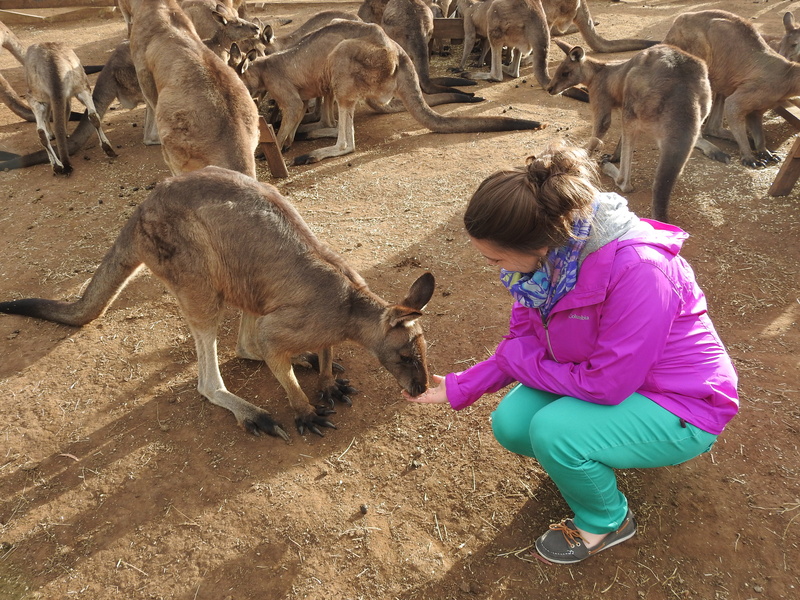 The sanctuary is home to at least over a hundred ‘roos, all willing to be fed and get a good scratch under the neck. At least a few baby joeys could be seen with their little heads (or errant foot) popping out of their mama’s pouch. I’ll likely never see or be able to walk among more kangaroos in my entire life again, it was definitely an experience to remember and sticks out as one of the true highlights of the trip. 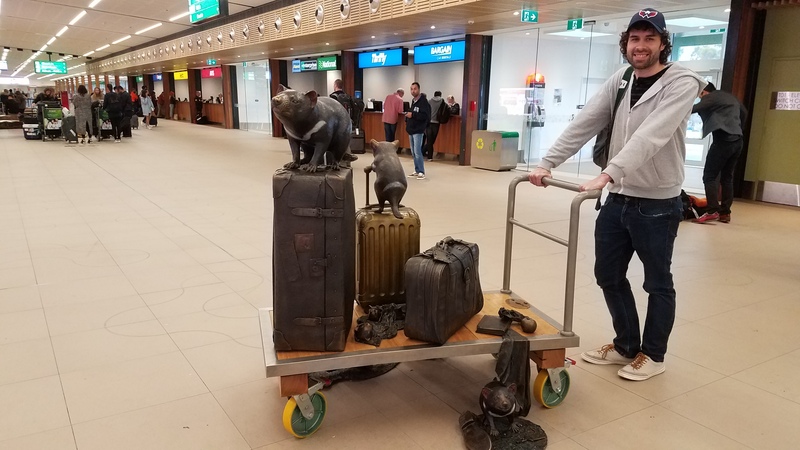 Sure, Australia is home to millions of these things – allegedly – but we never saw more than a few wallabies in the wild in Victoria during our whole time on the continent. 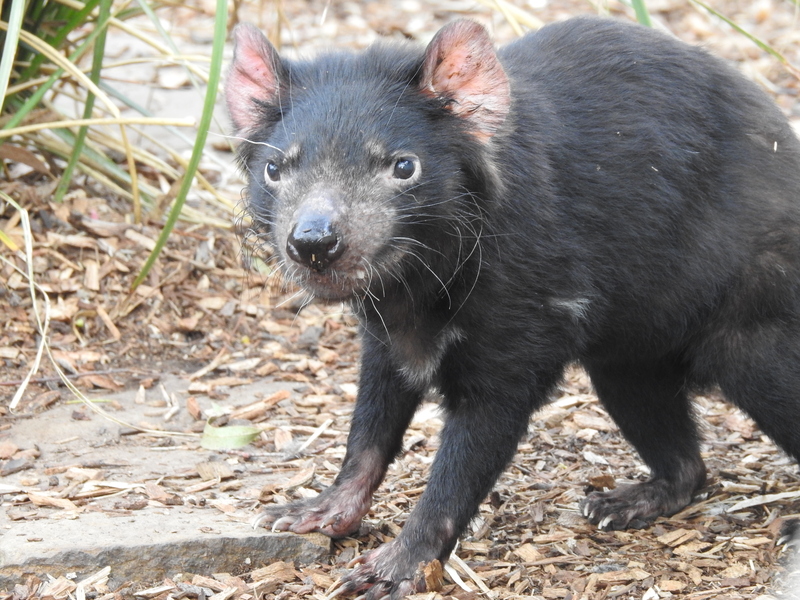 Obviously we didn’t have the freedom to roam around the Tasmanian Devil pen. These little nasty, but oddly charming, buggers can chop off more than they can chew, sporting arguably the biggest pound-for-pound bite in the animal kingdom. Sadly, they’ve been impacted by a horrible facial tumor disease but seem to be starting to come out from a condition that moved them to the brink of the endangered lists. Unlike the popular cartoon character, these things don’t spin like a tornado. The roady couple on the beach – basically our favorite place to be! After Bonorong we drove closer to Hobart and took in the Royal Tasmanian Botanical Gardens, which happens to be located near the old Hobart Zoo, the home of the last living Tasmanian Tiger (a creature that has fascinated me for years). 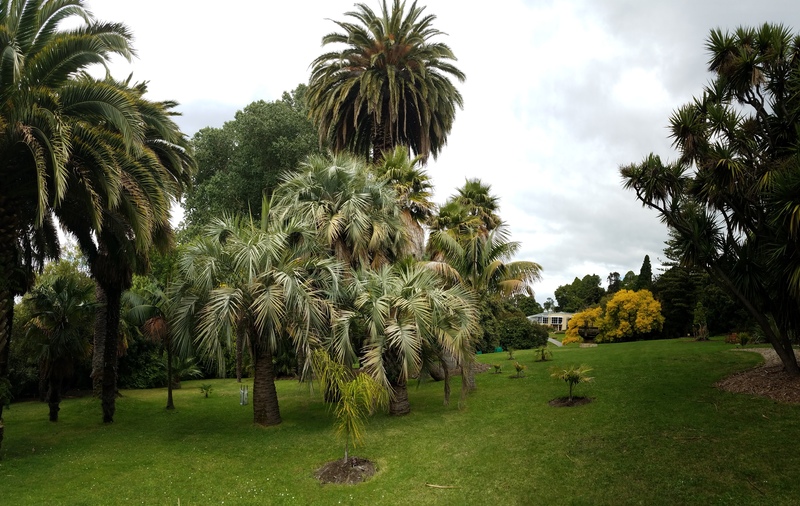 While there were no “tassie tigers” to be found in the Gardens, we did see a variety of flora from the region (as well as surrounding Australasian areas). 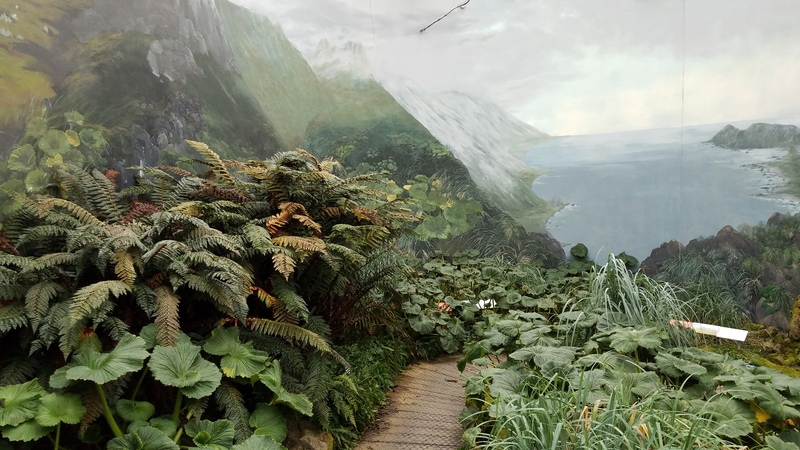 While not the most grand in presentation, the small Subantarctic Plant House contains plants from Macquarie Island, an uninhabited Australian territory that lies halfway between the country of New Zealand and the Antarctic continent. The room is kept up at a constant chill, to resemble the same atmospheric conditions in Macquarie. 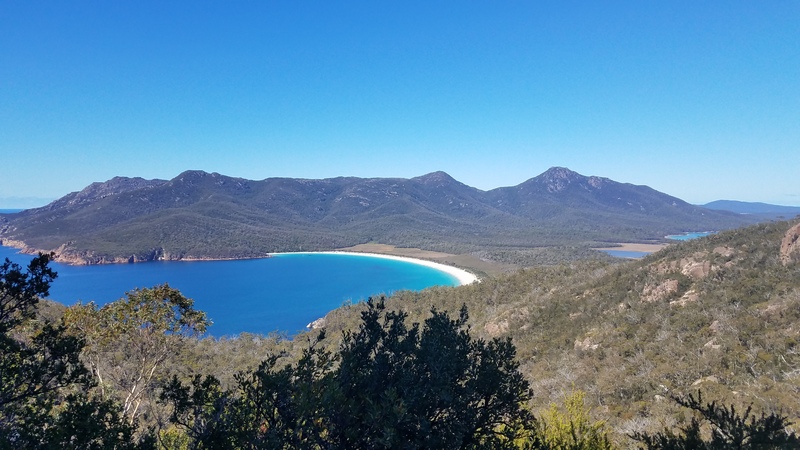 For the second day’s adventure, we drove 3 hours each way to the coastal Freycinet National Park, and a hike to Wineglass bay and its tropical blue waters. I think the most interesting thing to me about Tasmania, especially experienced in a day of six hours driving around the Southeast quadrant, was how much the landscape can change throughout just this limited area of the state. The coastal scenery can be very rugged or quite pristine. The drive can be reminiscent of either the African savanna, the Peninsular ranges of Southern California and everything in-between. There is a lot of “hey, this looks kinda familiar, but this type of tree looks out of place”-type moments. Of course, Australia was home to British convicts during its colonial era, and the worst of those (or re-offenders) were sent packing to Tasmania, primarily to Port Arthur – a sprawling penitentiary on the Tasman peninsula in the extreme southeast of the island. We spent our last day journeying down from our cheap casino hotel (“pokies” are a hot-button issue right now in the country) to the UNESCO World Heritage site where we took a step back in time to another era in Australia’s young history. You could easily spend two days at Port Arthur if you are into disseminating every historical detail about a place. The building in the site had various uses not only through its history as a convict site, but in its short post-prison life as the town of Carnarvon and its early years as a developing tourist attraction. We found the whole place to be a nice spot to walk and snack, taking breaks among the ruins, finding a nice spot on the hillside and eating an apple in the sun. 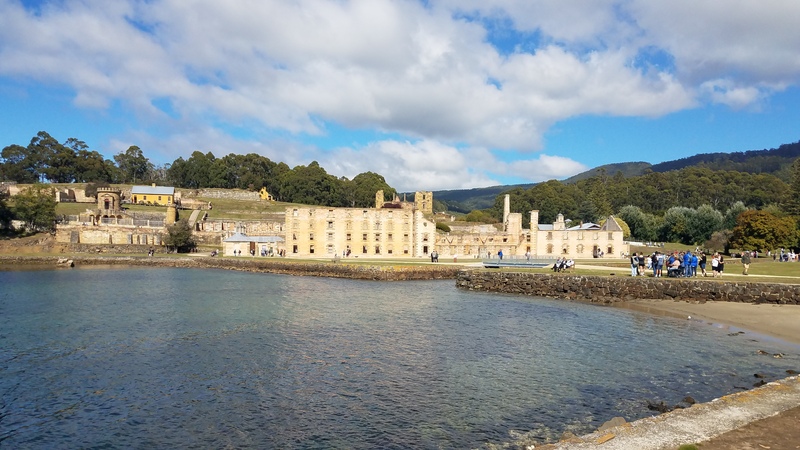 History buff or not, Port Arthur really appeals to anyone – a nature lover can easily find their place here rubbing elbows with the academics. Its sprawling, with plenty of space for those looking for tranquility. I found the level of freedom to do whatever here is rare for a historical park. I loved it. Port Arthur has so many little nooks and crannies to keep you busy. Yes, three days in Tasmania is not nearly enough to satiate all my curiosities about the place that inspired my visit. I may be back, I may not. I’m happy to have at least gotten that taste, though. It’s all about the side trip! Now I’m singing the Looney Tunes theme song in my head as I think of Tasmanian Devils. 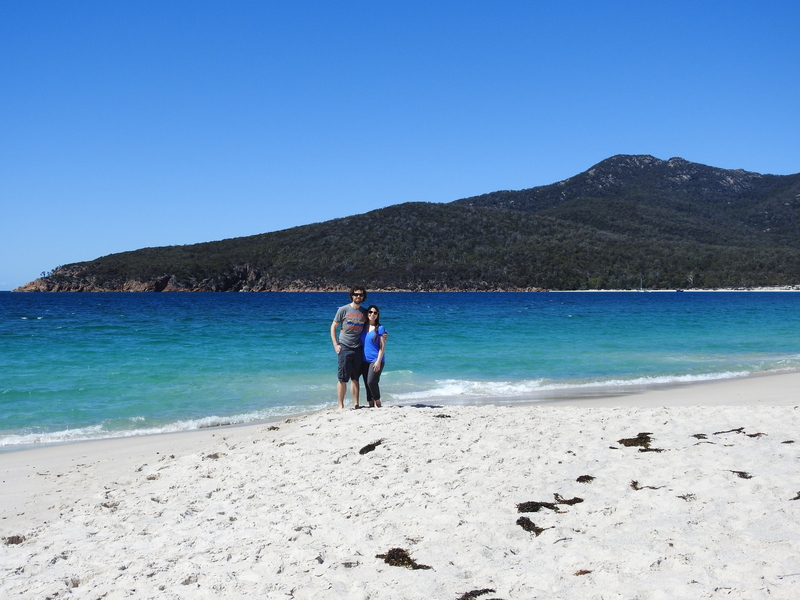 That shot of Wineglass Bay is total postcard material. 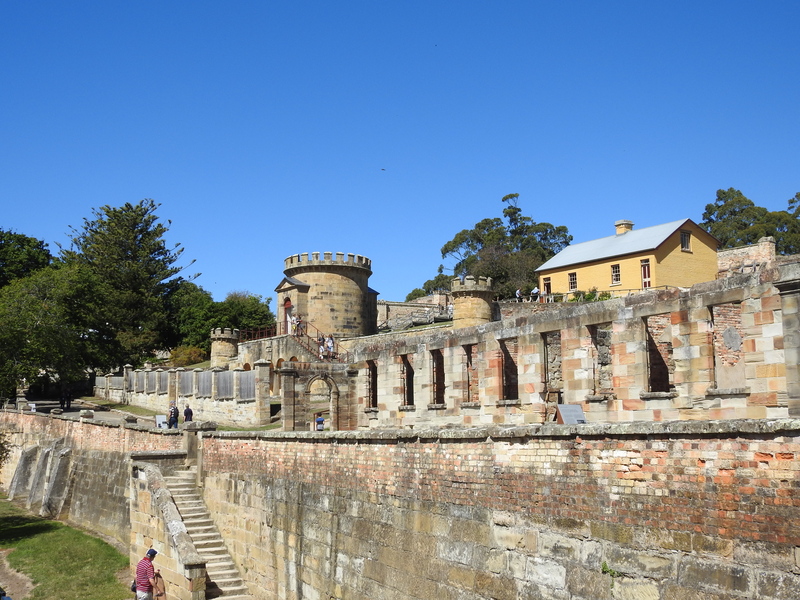 And Port Arthur looks like a castle where you could get lost finding a trap door here or there. Nice job on maximizing your vacation by injecting a mini-vacation within it. I’d expect nothing less from you and Breeah!